1. Kimosop Collins Kipkoror (KEN) 2:51:03 (net 2:35:21 !! ), 2. Fabian Osmond Daimon 2:55:08, 3. 1. Jacquelyn John (MAS?) 4:04:24, 2. Judy Liew Ye Ling 4:15:20, 3. Jong Kiat Ngo 4:20:11, 4. 1. Kona Liau 3:38:27 (21km 1:49:04), 2. Ewe Bee Hong 3:47:51, 3. Li Mung Lan (HKG) 3:53:52, 4. 1. Katarina Andersen (?) 45:17, 2. Tamika Baynes (?) 46:21, 3. Hyenie Roslin Danius 49:11, 4. 110mh/0.91 ( 1): Hazmi Fahim Haznain 13.33*, 2. Mohd Nasiruddin Rosli 14.11*, 3. Dilvani Juanis 14.21*; …*as reported by official results = obviously inaccurate!! Yong Jin Kuang 43:30, 4. Mark John William (GBR) 43:42, 5. Arul Thevar s/o Muniandy 44:03, 6. Pei Ni 55:03, 8. Danielle Nant 55:13, 9. Ewe Bee Hong 55:48, 10. Jessica Tang Mei Lee 57:17, 11. Note: I need the details (full name, DOB etc) for Mohd Sharman (SSBJ), Mohd Hafiz (SSBJ), and Aqram for ranking/statistics purposes ?? He died on August 9, 2013 (9.55 AM), after a fall at his home in Hulu Kelang Selangor. He competed in three Olympics at 110m hurdles, Cd Mexico 1968 (with a time of 14.3s), Munchen 1972 (14.78s), Montreal 1976 (14.27, & 14.21 in SF), and won numerous medals in SEA and Asian level including in 1966 and 1974 Asian Games where he won 110mh Bronze and Silver medals respectively. 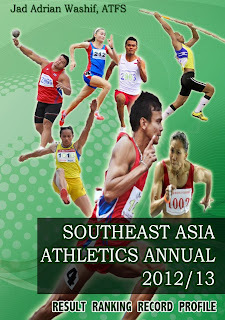 At Asian Track and Field or ATF (now Asian Championship), he won two Silver medals from editions of 1973 (14.3s) and 1975 (14.4s). He participated in two Commonwealth Games, Christchurch 1974, and Edmonton 1978. He also was with Malaysian team to the first World Cup in athletics in Dusseldorf Germany in 1977. 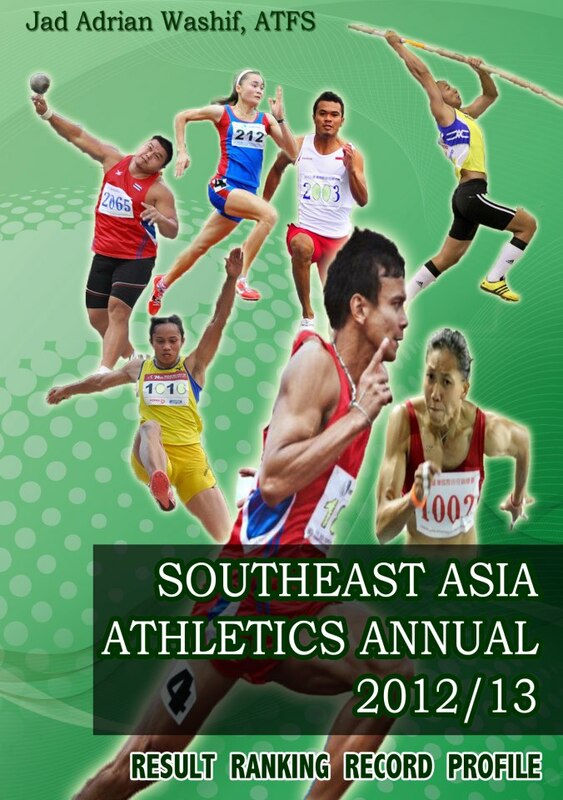 In SEA Games (SEAP before 1975), he won four Gold medals from 1969 (14.6s), 1971 (14.4s), 1973 (14.6s), & 1977 (14.46s). His 110mh best 14.08s which has stood as NR for 15 years (broken by Nur Herman Majid in 1991) was recorded in Furth GER in June 1976. 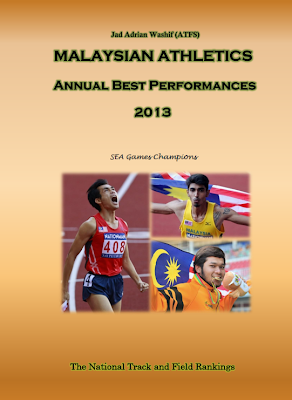 The performance, as of his death is the 4th fastest in Malaysia, and 8th in Southeast Asia. He also recorded a hand-timed best 13.8s two weeks earlier in Schwetzingen. OCM wrote, "Ishtiaq Mubarak survived a near-fatal car accident on 13 October 1970, which took him over nine months of guts and determination to recover and to make a successful come-back to Athletics". In 2002, he was inducted into the Olympic Council of Malaysia Hall of Fame. He also served as a coach (hurdles) with the national back-up (pelapis) for several years until 2012. Al-Fatihah. Rest in Peace.